According to a Virginian-Pilot article, click here to read to read more. The next commercial resupply rocket launch to the International Space Station is scheduled for Monday. 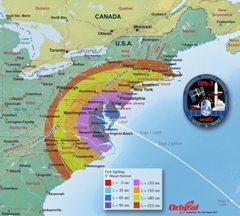 The Antares rocket will launch at 6:45 a.m. from NASA’s Wallops Flight Facility and is expected to rendezvous with the space station on Nov. 2, a NASA news release says. 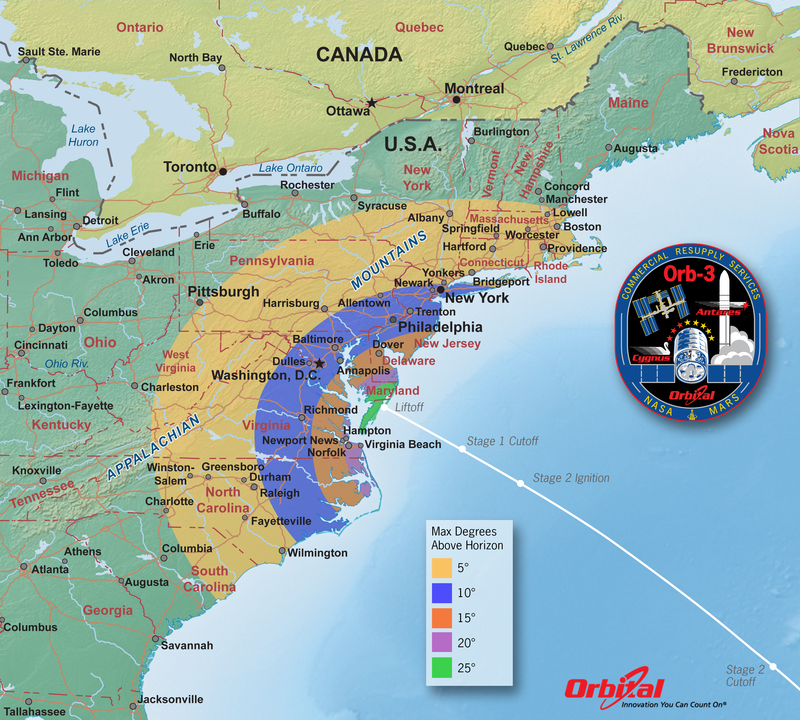 Residents along Shore Drive should be able to see the rocket to the North East (NE) about one minute after launch from the horizon up to 20 degrees above. For more information about the launch go to the Orbital website. The launch will be broadcast on NASA TV and streamed online. You can follow the launch on Twitter @orbitalsciences and on Facebook. This entry was posted in Area Events by toddsolomon. Bookmark the permalink. The Orbital site says 6:45PM not AM!